I know it says for this challenge 2 circles, but I was going for a bold, but clean and simple look. 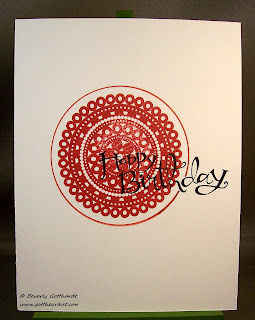 The middle medallion is one stamp so I considered it to be one circle and the thin circle is hand traced around a template for the 2nd circle. 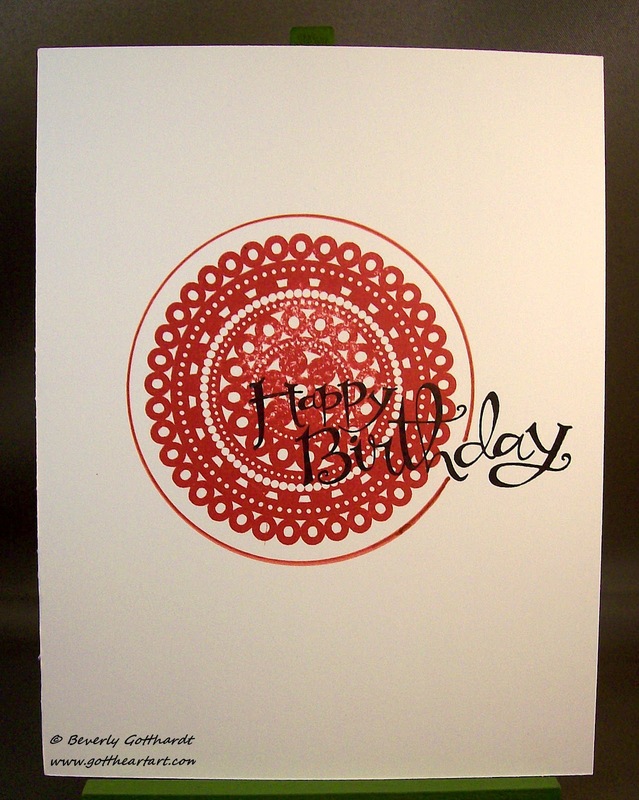 I stamped Happy Birthday in black on the bold medallion before tracing the thin circle. Click on the link above and see what you can come up with using 2 circles for this challenge. Bold CAS is gorgeous! Love the red. Thanks so much for playing with us at CAS-ual Fridays! Beautiful medallion stamp! Thanks for playing along this week at CAS-ual Fridays!